Paulist Fr. Kenneth Boyack is vice president of Paulist Evangelization Ministries and coordinator of its "Living the Eucharist" program. He is based at the Paulist House of Mission and Studies at St. Joseph Seminary in Washington, D.C.
Fr. Ken has authored, co-authored, or edited 17 books including "The New Catholic Evangelization" and "Awakening Faith, Reconnecting with Your Catholic Faith" (co-authored with Paulist Fr. Frank DeSiano). Fr. 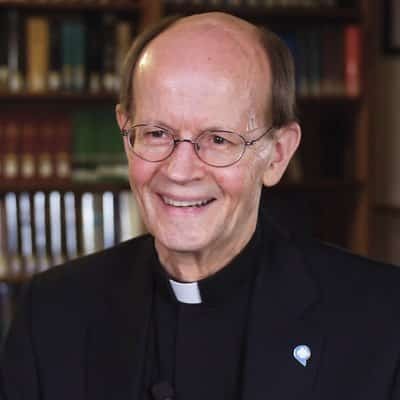 Boyack served as general coordinator for the development of the U.S. bishops’ document "Go and Make Disciples, A National Plan and Strategy for Catholic Evangelization in the United States." He has developed resources such as "Invite!" and "Catholics Reaching Out" that equip parishes to invite and welcome inactive Catholics and those with no church family.